KRL: Why did you choose to do Emma this season? Brooke: My love of Austen is no secret and certainly Emma feels like one of the most modern of Austen’s heroines! Also, there has been a little bit of a trend of late for Jane Austen themed theatrical works. 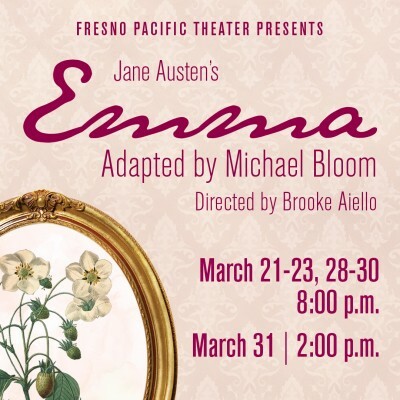 From Christmas at Pemberley at State and Sense and Sensibility at 2nd Space to a Pride and Prejudice adaption in Merced, Jane Austen feels perennially popular. Also, Emma is first and foremost a story about community to me, which is one of the things I value the most. Brooke: The show moves swiftly and feels very cinematic on the page. Staging it to highlight its theatricality was a fun challenge. There is a ball scene with multiple dances so that took a while to sort out. But the cast is so talented it was more fun than challenging. KRL: Is the cast all FPU students? Brooke: The cast is mostly FPU students with some Alumni and a student from one of the other colleges I teach at who got roped in, poor guy. A lot of really remarkably talented people who the community has not seen a lot of unless they are Fresno Pacific Theatre fans. KRL: What have you enjoyed best about directing this show? Brooke: The cast. Also getting to interact with this literature in a new way. I am such a Jane Austen nerd it has been great to have a captive audience for all my Jane Austen themed ramblings. KRL: What is your favorite thing about this story? Brooke: The Community of Highbury. These people all love each other so much. There is a great feeling at the end that everyone has found the place where belong. KRL: Is this a traditional version of the story or modern day? 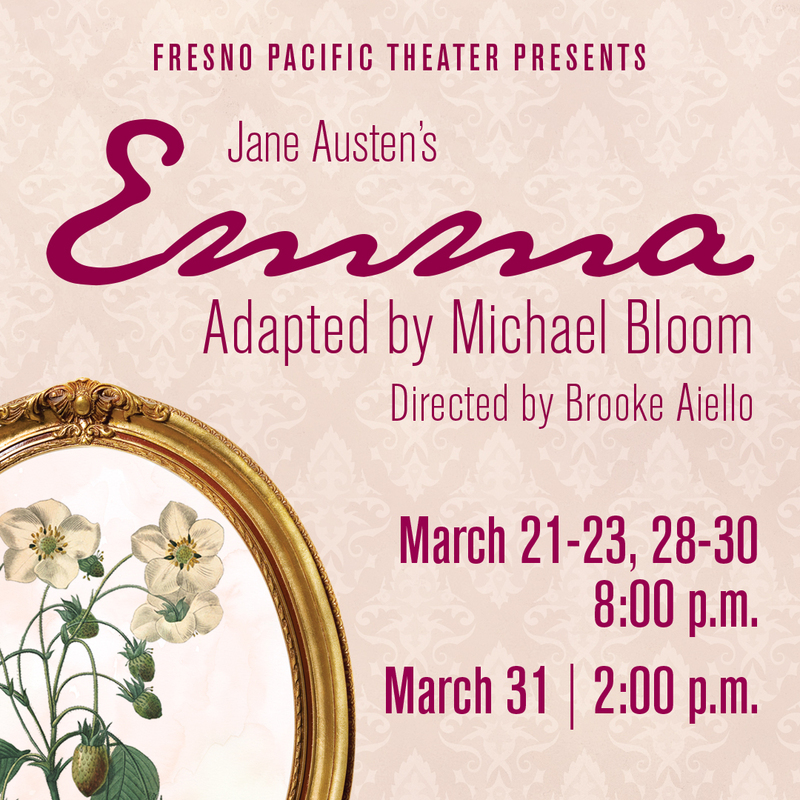 Brooke: Though Emma can easily be done very modern, our version is a fun mix of very theatrical with a historical through line. We wanted the experience of the play to be like curling up with the novel itself. We have taken pains to be relatively historically accurate in the individual costumes with details tweaked to highlight character and story. KRL: Date, times, location, and ticket info?